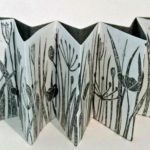 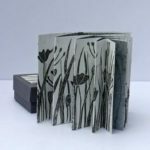 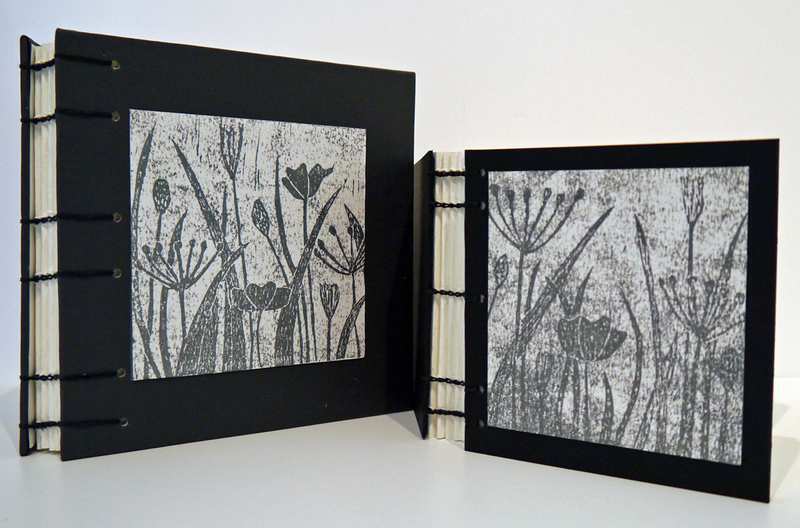 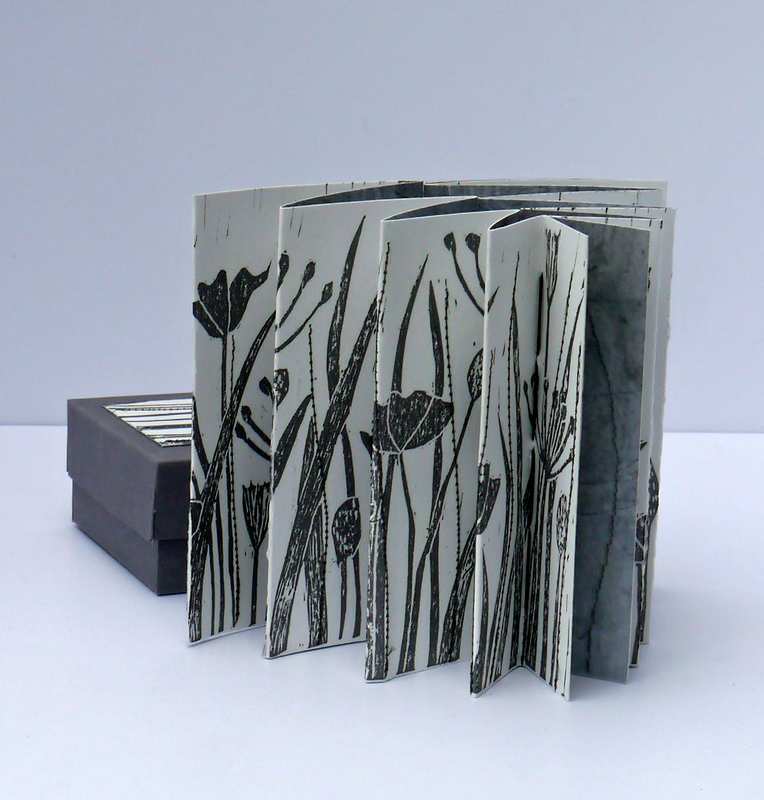 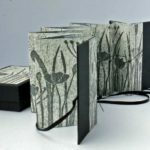 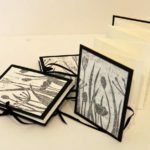 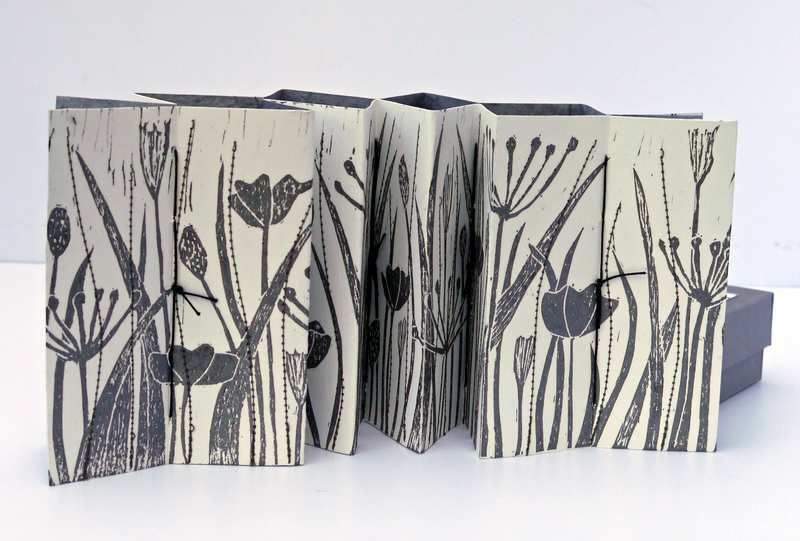 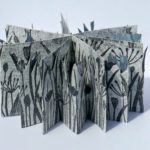 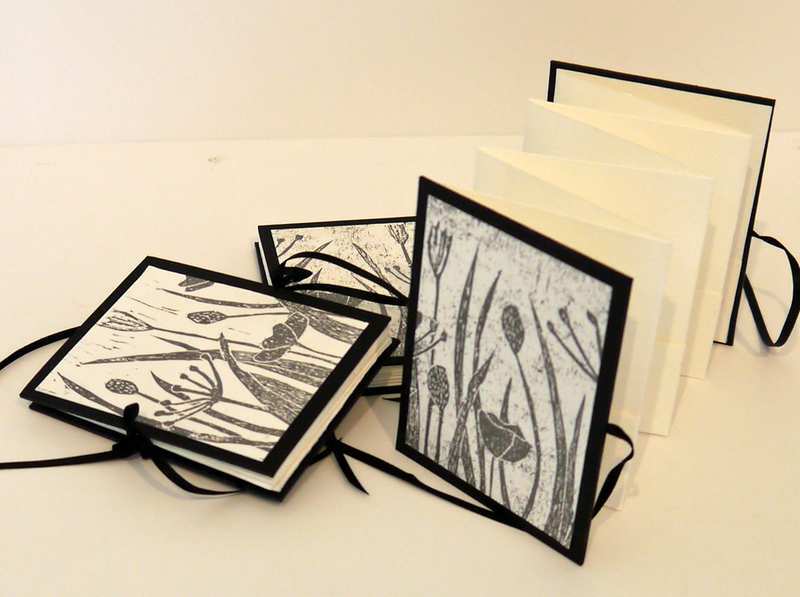 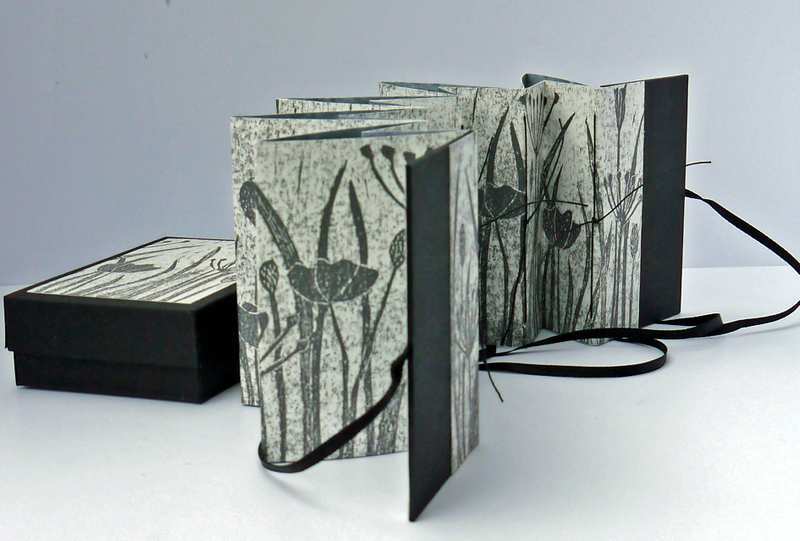 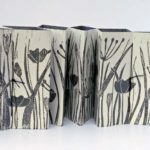 My aim for 2016 was to develop my printing and to use the results not just as framed pieces but in the construction of sculptural book forms. 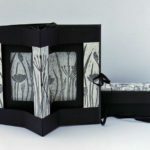 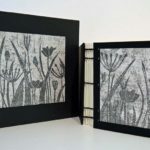 Most of the work so far has been done using linocuts but I have also experimented with drypoint etching and monoprints. 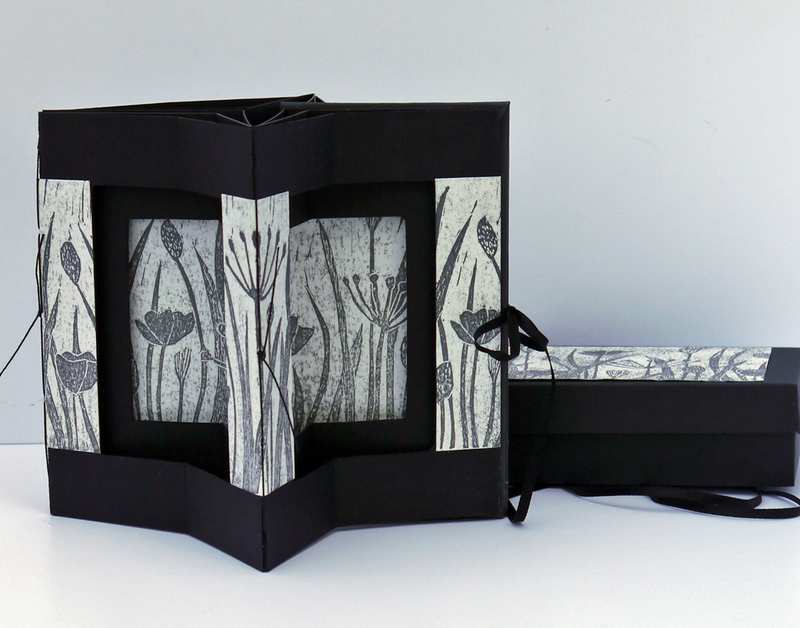 The results can be seen in this Meadow collection inspired by photographs taken on the Machair in the Outer Hebrides.